Harry D: You have Lechmere "tied" to Buck's Row and possibly Hanbury Street (depending on TOD). What about the rest? Those are what we call tenuous. A safe tie to Bucks Row, a good tie to Hanbury Street and more tenuous ones to the rest are still a heck of a lot more than Levy has, Harry. Right? How many serial killers are found standing alone by a victim's side? Few. Levy, for one, wasn´t. Then again, he was not a serial killer either if you ask me. Lechmere, though, WAS found with a victim - and so he is exactly what I say: leagues ahead of Levy in this discipline. That is what we are discussing, remember? You suggested Levy could compete with Lechmere geographically, I said he couldn´t and this is why. We also have the same for Robert Paul, he was travelling down Buck's Row that morning, and his work route took him past Hanbury Street. There was nothing exceptional about Lechmere in that respect. The fact that two witnesses, one after the other, both frequented the same two murder sites shows how small in scope the Ripper's killing field was. Robert Paul ticks two boxes, Lechmere ticks six. There is no way you can win, Harry. And as I said, once we realize how tiny the Spitalfilds area is, the more odd it becomes that a carman who is a suspect just happened to pass through that exact sliver of land at the relevant times on his working days. Plus he had ties to the other two sites. Did Paul? Not that we know of, so he´s out (as if it was not enough that we know that Nichols was cut and dead as he arrived in Bucks Row). Which six would that be? Not with a suspect-based theorist, no. It's an exercise in futility. And as I said, once we realize how tiny the Spitalfilds area is, the more odd it becomes that a carman who is a suspect just happened to pass through that exact sliver of land at the relevant times on his working days. I think the biggest red herring in the Cross discovery retelling is that Cross was found with the body... but omitting he was waiting for Paul to catch up to him so he could call him over to take a look. Quite simply there has never been a rational or logical reason why if he murdered her, he waited for a witness to come along and ID him. Even worse for the conjecture that Cross is JtR is the fact Paul didn't want to go over to them at all and Lechmere had to insist he come over. This photograph gives one some idea of the distance between Paul down the far end and Cross near the gates where Nichols was found. It would have been much darker too. Well, that´s the kind of post there is no reason to answer. Too bad. Fisherman's not still banging on about "six hits" is he? It's ONE hit, or two at a stretch. And still, he disinforms as best as he can. The poster who claims to know that the Torso killer cut out Jacksons uterus for another reason that the Ripper cut out his uteri, once again makes it his business to try and twist the facts. Anybody who can read can very clearly see what is going on. I am saying VERY clearly that Lechmere is tied to one murder spot, where he was found close by the freshly killed victim. I am saying that Lechmere is not proven to have been at any other murder site, and I am adding that his ties to these five spots are tenuous in comparison with the Nichols site. But this is not enough for Gareth - he wants it to be laid down that Lechmere has no ties whatsoever to the other five sites. We should not care about how he will reasonably have traversed Spitalfields every working day, taking him at least quite close to three of the sites, never more that a three minute walk from them at the rough time of the murders. He may of course have walked right past each and every site, and we are aware that he did use the Hanbury Street route on the 31:st, using a street where one of the victims was found a week later. This is not something that should be regarded. Lechmere had massive ties to St Georges - but let´s ignore that, shall we? Mitre Square was alongside his old route to work, but let´s forget that too! This is the worst sort of disinformation, twisting and misleading, and I can identify no other reason for it than desperation. It is not a very subtle effort. Writing "In the battle to try and sweep Lechmere´s candidacy under the carpet, no means are too vile" would not be any more clear. Have a try to answer post 4 out here, Gareth - not that any further evidence is needed to prove that your campaign is built on falsehoods, misleadings and a flat out denial of obvious facts, but it would be good fun anyway. So far, you have avoided it like the plague, and small wonder that is! Last edited by Fisherman; 11-11-2018, 03:30 PM. This, I think, is not disputed. This, too, is not disputed. This is where we need to use words like 'likely' or 'reasonably' or 'possibly'. Of course, in all the theories that abound about ripper suspects, these words are needed because we lack full information and so need to rely on logical reasoning and inference. We have no choice but to do this and it opens up useful areas of research and so we should, I believe, support such thinking. To test the reasoning is also useful. My test of this particular theory is that the speculated routes for Lechmere's journey to work fit the facts that we know and the speculated elements of the routes seem reasonable. That some of the murder sites are close to these routes is factual and beyond argument. Where I disagree with you, is the significance you place on this. That Lechmere had connections with the areas for the murders not along those routes has also been established, albeit those connections begin to get more tenuous and there is no evidence he was in those areas on the night of the murders. So again, it is the significance with which we disagree. Mitre Square was alongside his old route to work, but let´s forget that too!. I cannot speak for Mr Flynn, but my view is this is interesting but many people in the east end will have connections across the east end. This should not be a surprise and nor is it particularly significant in the case of Lechmere. I'm sure he had connections in other parts of the east end also. I have not researched his connections - but in the same way as we can speculate routes on the basis of logic, I would say we can safely speculate here too with some degree of certainty. I think the case for Lechmere being the ripper is less compelling than you believe it to be. The same old misleading arguement of Cross being the only person that can be tied to the Whitechapel murder sites.Simply because he discovered Nichol's body on his lawful way to work.It's not even an element of the murder of Nichol's.She was killed before Cross arrived at the scene.That is the evidence. unless of course,and it has not been done,Cross can be proven to have lied. Not in the slightest. What "ties" had Cross to 29 Hanbury Street, Dutfield's Yard, Mitre Square or Miller's Court? Or George Yard and Pinchin Street for that mattter? Come to think of it, why should a killer have had any "ties" to any of these locations? It is all very basic and simple, once you put your mind to it. Charles Lechmere was found alone outside Browns Stable Yard on the morning of the 31:st of August 1888, standing close by Polly Nichols who had been savagely cut and killed. Lechmeres presence there is totally in sync with him having been the killer. Once this is established and Lechmere looked into, we can see that there are a number of matters that are not what one would want them to be to lightheartedly be able to say "he is probably nothing more than a finder of a murder victim". One would not have wanted him to disagree with the version of events given by the police. One would not have wanted him to stray from his habit of calling himself Lechmere in authority contacts. One would not have wanted the body of Nichols to have her wounds hidden from sight. There are other things too, but these three things are quite enough to explain why the combination of them and his being present alone with one of the murder victims at a remove in time that is entirely consistent with the possibility of him having cut her, must call for an intense interest in his person. "He is of tremendous interest" is how Andy Griffiths puts it in the docu, and there can be no denying that. It goes without saying. There have been innumerable cases in the criminal history where people have become suspects on account of factual information like the one presented in the three points above. The type of information can of course vary, it can be a question of witness observations, of physical evidence, of a history of crime on behalf of the suspect, of just about anything - the common denominator is that we are speaking about things that all call upon the police to realize that there is an urgent need to investigate a person further, based on the possible implications of the evidence existing - EXACTLY as is the case with Lechmere. And how do the police go about this? They go about it in a number of ways, but one of them is ALWAYS, no exceptions, to try and check the geography factor. Can the suspect be put on the crime spot or in their immediate vicinity? Are the known patterns of moving on behalf of the suspect consistent with him being the perpetrator of the crime? In Lechmeres case, all we know of his patterns of moving is that he seemingly passed through the Spitalfields area on the mornings of the murders, at a remove in time that seems to be in sync with the murders. We can therefore see that he seems to fit the geographical bill quite well when it comes to these four murders, and we know for certain that he was in place at the actual murder site on one occasion. This is very heavy evidence material, and it is further accentuated by what James Scobie said: "... an area of offending to which he is linked, geographically and physically". 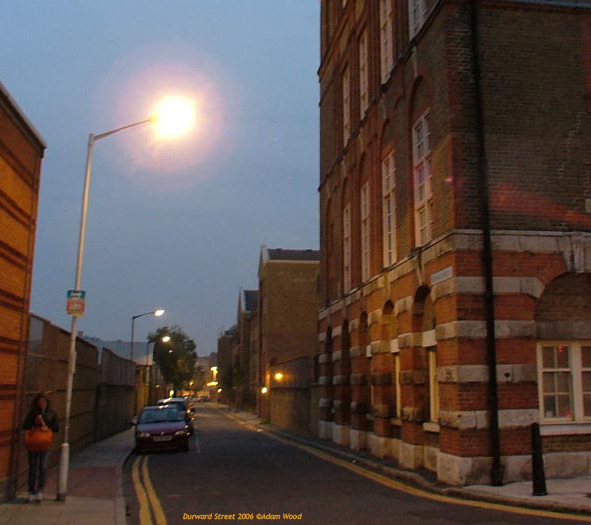 We also know that he had grown up in very close proximity to Berner Street, where Liz Stride died, and that he had his mother and daughter living in the area, a very short way away from the site. Accordingly, a reason for him to be there has been established. We can also tell that if he was the killer of Stride, then the route he would afterwards have taken up to Mitre Square, would essentially follow the route he would have used to go to Pickfords for many a year. What I am saying is that on account of these facts, he is and remains the best suspect there is, geographically speaking. No game of semantics can change this, just as no such games have been able to alter the fact that Lechmere was found alone, close by the freshly slain body of Polly Nichols. And nothing can alter the fact that once we look at it the way the police would have, we can see that we get a very clear hit when investigating the geographical factor - it appears that the man we are looking into as a suspect actually passed right through the Spitalfields killing fields, either directly by the murder spots or so close to them that a three minute walk would have taken him there. That kind of information would be celebrated at the cop shop as very decisive in pointing to the urge to call for a prosecution of the suspect, as would the links to the Berner Street area and Mitre Square. If these geographical implications had NOT been there, the police would of course have proceeded to investigate him, on account of the anomalies involved in his case (James Scobie: "A jury would not like that"), but the case would be a much weaker one. It is not until it is confirmed that he fits geographically that a really strong case can be presented. There is no way around this. And there is no comparison when it comes to suspect viability on account of geographical factors. The closest any alternative suggestion has come so far is Robert Paul, where two out of six cases seem to be covered by his logical movements, whereas Lechmere triples that number. Plus we have on record that it was Paul who found Lechmere, it was not the other way around. You know, we have this saying in Sweden: "Sour, said the fox about the sorb-berries". It just struck me how applicable that old saying is here. Last edited by Fisherman; 11-11-2018, 11:43 PM. Assuming Stride was a Ripper victim, is there any evidence Lechmere was visiting his mother or daughter on the night of the murder? And, just out of interest, was Lechmere the only Whitechapel resident to work for Pickfords, or to have previously worked for them? What is so basically simple to understand,is that when a person finds a body of a murdered victim,and that is his sworn evidence,and no evidence is known to connect that finder to the victim's murder,and no evidence is available to prove that person lied,that person is considered to be innocent. The killer of Nichols had to be in her company at the time of her death.Nothing,absolutely nothing in the way of evidence,places Cross in the company of Nichol's immediatele before or at the time of her death.So the first and most important element,oportunity,is not present.Cross arrived after the murder.That is the evidence.